Geez, why did Cobb County Officials wait two days to notify the Secretary of State’s office? Maybe it took two days for the Russians to skip town with the machines. TGP: Critical voting machines were stolen days before the special election in Georgia District 6 that is being held today. The computers that went missing were used to check in voters on election day. 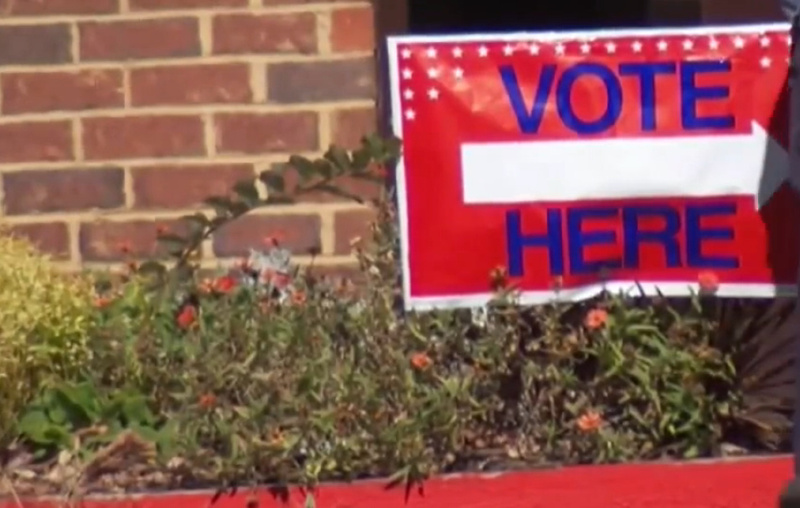 Channel 2 Action News has learned that critical voting machines were stolen just days before polls will open for a special election. State officials are investigating after equipment was taken from a Cobb County precinct manager’s vehicle. According to Secretary of State Brian Kemp, the equipment was stolen on Saturday evening while the vehicle was parked at the Kroger on Canton Road. Kemp’s office says Cobb County Elections waited two days to tell his office about the theft of the machines. The four so-called ExpressPoll machines were the computers poll workers used to check-in voters, and check those off who cast ballots. SANDY SPRINGS, Ga: For U.S. President Donald Trump, an off-year congressional election on Tuesday in the reliably Republican northern suburbs of Atlanta could spell trouble if Democratic upstart Jon Ossoff pulls off a surprise victory. A 30-year-old political novice, Ossoff is running as the lone Democrat against a field of 17 Republicans for a seat in the U.S. House of Representatives vacated when Trump named Tom Price to be secretary of health and human services. The outcome will not tip the balance of power in the Republican-controlled House. But an Ossoff win could weaken Trump’s already shaky hold on his fellow Republicans in the House by encouraging those in competitive districts to distance themselves from the president. The Democrats are in the fight of their lives. They’re pulling out all of the stops, as they believe a win in this traditionally “red” district of Georgia would be a huge black eye for President Trump. Is anyone really surprised that voter machines from this district have been stolen only days before what Democrats are calling a “must win” election? “It’s very shocking, especially with the climate we have of voter fraud out there,” one Georgia voter told Channel 2’s Ross Cavitt. Eveler said they will completely replace the machines at the Piedmont Road precinct.